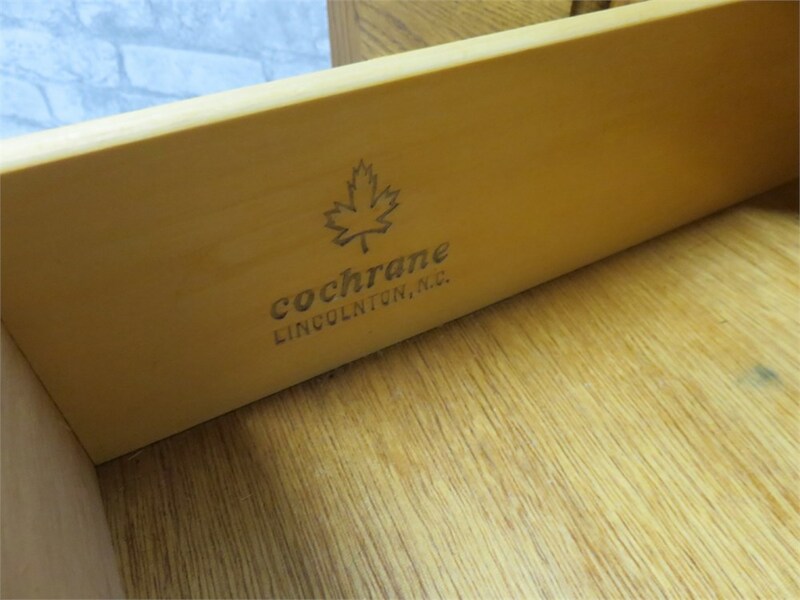 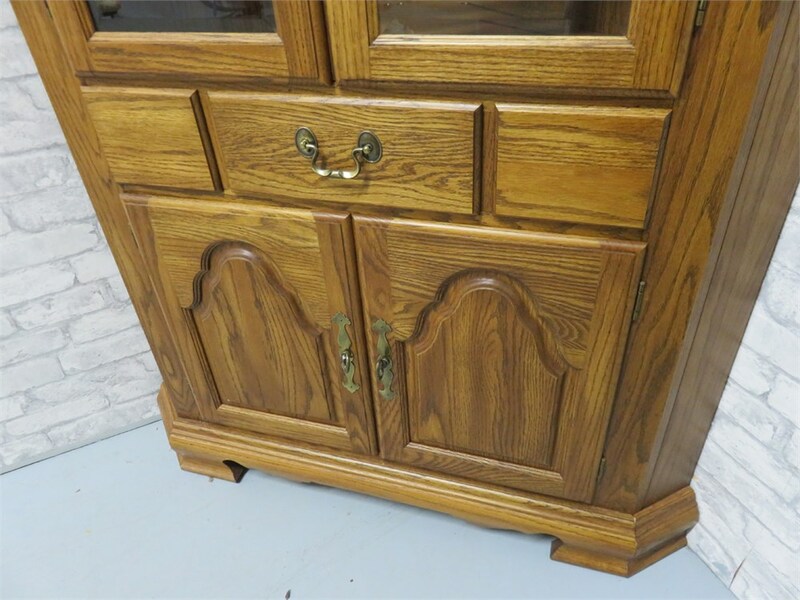 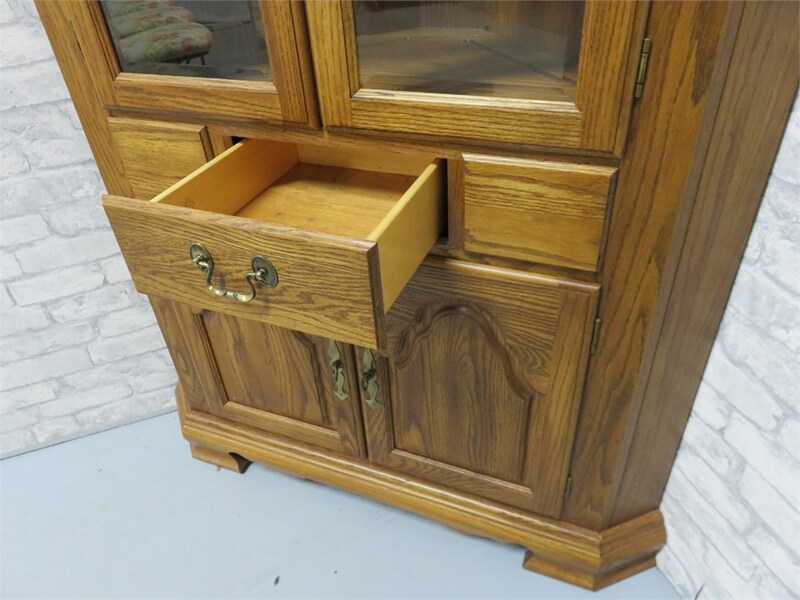 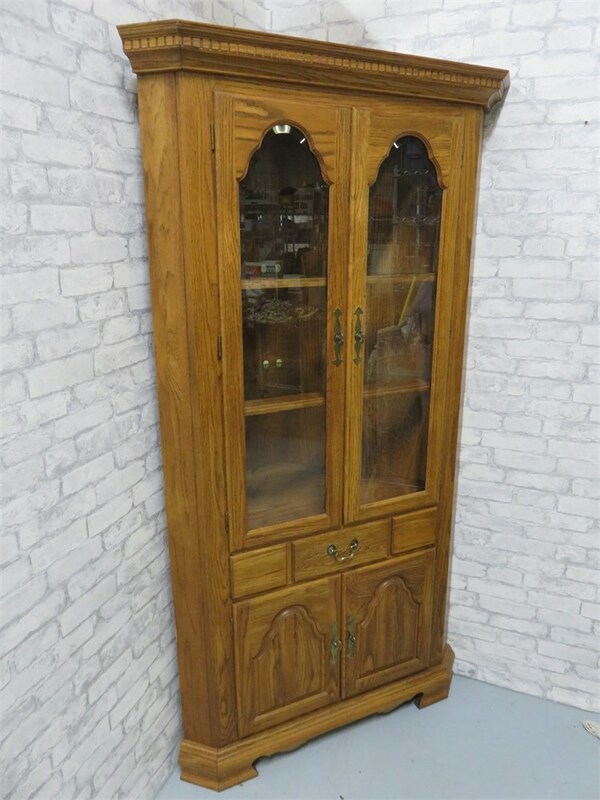 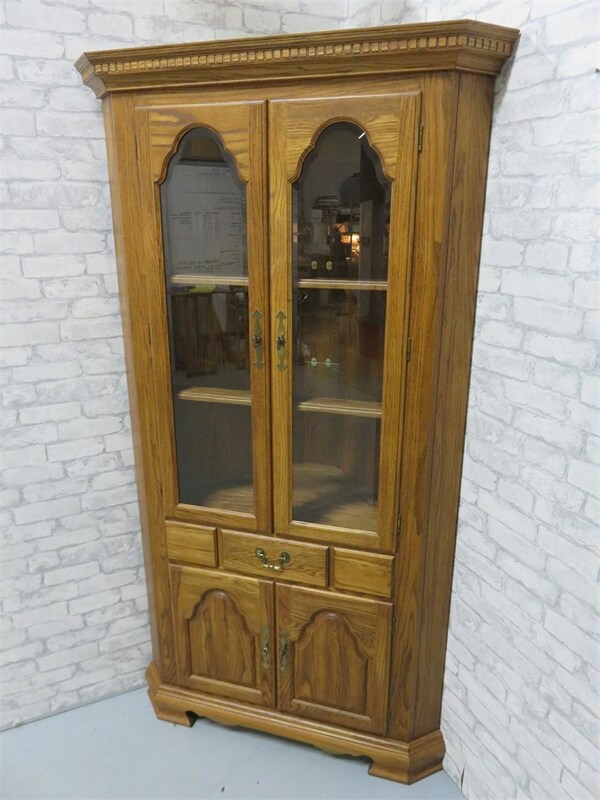 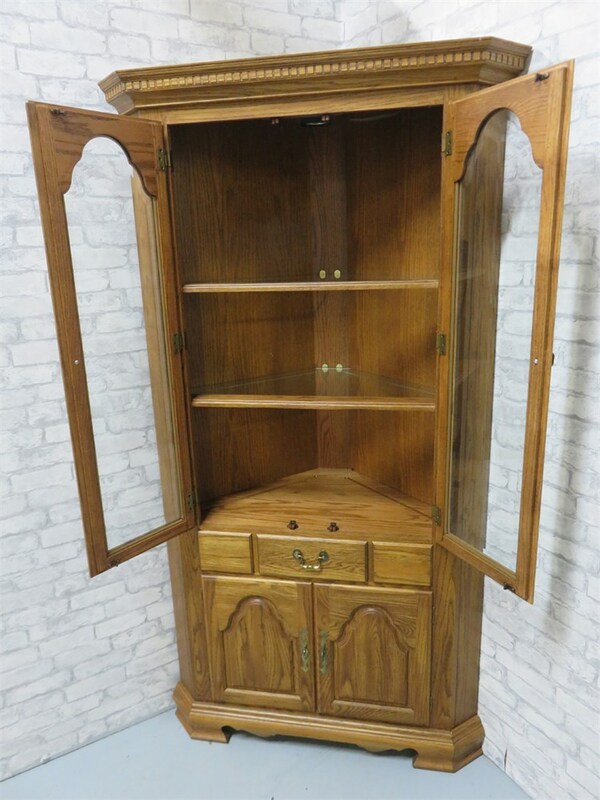 A beautiful oak corner hutch from Cochrane Furniture Co. 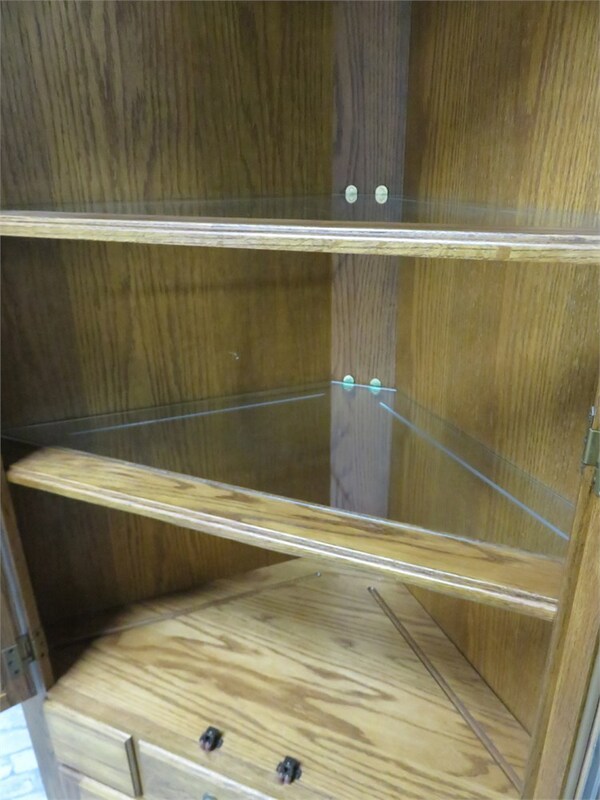 This lighted hutch features beveled glass panels, plate grooved glass shelves, and raised panel doors. 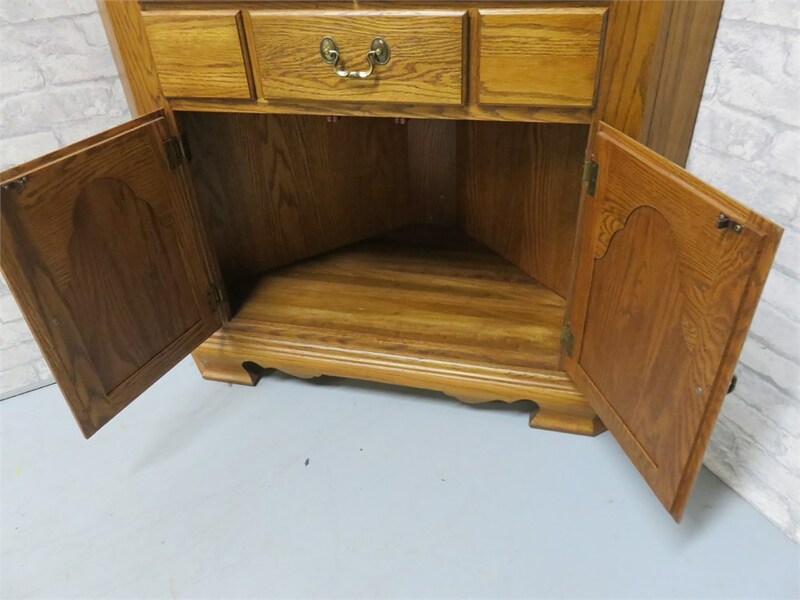 Light bulbs need to be replaced.